The rise of coffee shops and take-out coffee has contributed to the inception and growth of the home single cup coffee maker market*. Having fresh coffee available quickly and on demand is expected in today’s busy world. For even more convenience, single serve coffee makers have become popular supplements, or even replacements for coffee shop coffee. 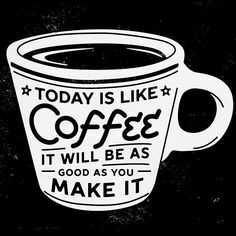 After all, nothing is more handy than being able to produce a great cup of coffee quickly, whenever you want it! Typically, personal coffee makers produce freshly brewed coffee one cup at a time in a couple of minutes or less. Popular models differ in how much water is put into the machine to produce a cup of coffee. Some require water to be added, and heated, for each cup, while others keep a reservoir of hot water on hand. While our Moms thought of coffee in terms of cost per can (or pound), a generational shift has resulted in people placing a high value on convenience and thinking in terms of cost per cup. Consequently, single cup coffee makers that require pre-packaged coffee pods – despite the coffee costing several times what a pound at the supermarket does – are the fastest growing segment of the home coffee maker market. Despite having to buy pricey pods, discs or K-Cups, a single serving of coffee still costs less than at a coffee shop, making personal one cup coffee makers a bargain in many minds. But, how do you choose among the many types and models of single serve coffee makers? It helps to know what the best sellers are and narrow down from there. The most popular personal coffee makers are based on the Keurig K-Cup technology, with many brands, like Mr. Coffee and Cuisinart, licensing the technology for their own branded coffee makers. One reason they’re adopting the Keurig technology is because of the wide array of coffee brands and flavors available in K-Cups. Dunkin’ Donuts, Starbucks, Tim Horton’s and other widely known brands are making their signature coffees available in single serve K-Cups. Iced coffee as well as hot chocolate from Swiss Miss and Ghiradelli, popular tea brands and other non-coffee beverages are also available in K-Cups. The main draw of Keurig brewers is that they deliver a hot cup of coffee fast and with minimal cleanup, and with each user being able to choose their own flavor. Coffee is brewed quickly by delivering the water under pressure, speeding up the extraction process. Complaints about Keurig models producing weak coffee have been addressed with the release of extra-bold K-Cups and the new Keurig 2.0. Next generation Keurigs can brew espresso, latte and cappuccino (Rivo), as well as carafes in addition to single servings of coffee (2.0 models). Keurig isn’t the only player in the market, however. Tassimo employs barcode technology to read the exact requirements of temperature, water amounts and brew time for each of their more modest selection of T DISCS, allowing the machines to produce custom coffees, teas and specialty drinks by the cup. The Bunn MCU is another popular contender in the arena of pressurized personal brewers and can use K-Cups, Senseo pods and ground coffee. Not all single serve coffee makers employ pressure to extract coffee quickly. 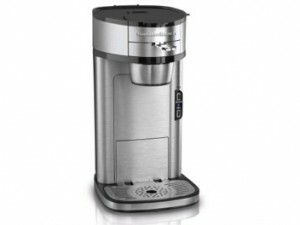 The popular and award-winning The Scoop by Hamilton Beach is a personal drip coffee maker. It uses standard ground coffee and cleverly minimizes the mess and cleanup by employing a permanent filter. The inexpensive Black and Decker Brew ‘n Go is another popular single serve drip coffee machine with a permanent filter, as is the Kitchen Selectives CM-688. In our busy tech-based world, we naturally think “automated” when considering single cup coffee makers. However, a growing number of people prefer giving up a bit of convenience in exchange for being able to customize coffee flavor. Many are also driven by the desire to save on coffee purchases by choosing low tech methods that use freshly ground beans instead of pre-packaged pods. - Users of French press coffee makers love the robust flavor they achieve from these decidedly hands-on brewers. - Pour over drip coffee cones are a low-tech way to achieve traditional drip coffee flavor a cup at a time, and some types produce coffee similar to that achieved with a French press. - Proponents of cold coffee brewers swear by the smooth, low-acid and non-bitter coffee they produce, both for hot and iced coffee. Then there are Moka pots, Vietnamese coffee makers, Turkish coffee brewers and other specialty personal brewers. They all take a little more time, and make more of a mess than automated personal brewers. But, the unique and robust coffee flavors they produce are a big draw for many. It pays to research what's available before deciding which type of personal brewer is best for you. Visit 11 Tips for Choosing a Single Cup Coffee Maker and Single-Cup Coffee Brewing Methods Decoded for help sorting through the options. 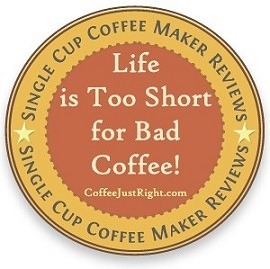 Of course, we also suggest looking through our detailed single serve coffee maker reviews. *Resource: Market Watch, 2013 - Sales of Single Serve Coffee Makers Have Tripled. Fast, intuitive and consistently good coffee. - Holds 10 cups of water for on-demand brewing. - 5 cup sizes and room for tall travel mugs. - Programmable, ready when you are. - Hot water button for hot chocolate, tea, etc. - Hot rinse cycle makes it easy to keep clean. - Can brew ground coffee using the My K-Cup Reusable filter (included). - Sized to fit under an upper cabinet: 12.1" tall x 13.5" x 10.2". "Outperformed them all in smell, taste and richness of the coffee." 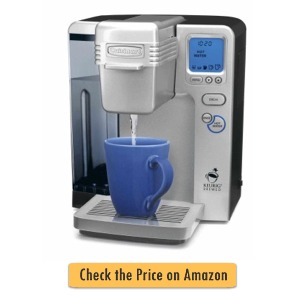 The Keurig Elite coffee maker (K45/B40) is a good introduction to the Keurig line of personal brewers. 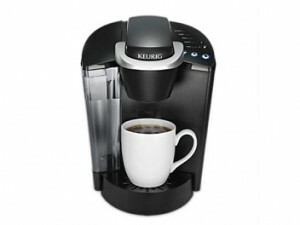 It’s a tried and true model with the original K-Cup Brewing System technology. But is it right for you? The Scoop, the Hamilton Beach Scoop coffee maker, is an award-winning personal brewer that gets consistently good reviews for its good performance and drip-style coffee. But, is it right for you?